It’s the kids, the next generation, who must succeed in wildlife conservation where we have failed, and carry on and sustain our own hard-won successes. Either, the kids will care and take action, or all is lost. 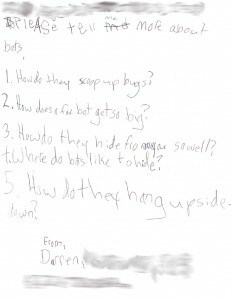 So, when we received this letter from Darren, age five, worried about the survival of bats and hoping that there is something he can do, it seemed a burst of sunlight and hope, a happy reminder that we are not alone seeking a difficult path forward but are being urged on, pushed from behind by earnest minds who have no doubt that there is a future. 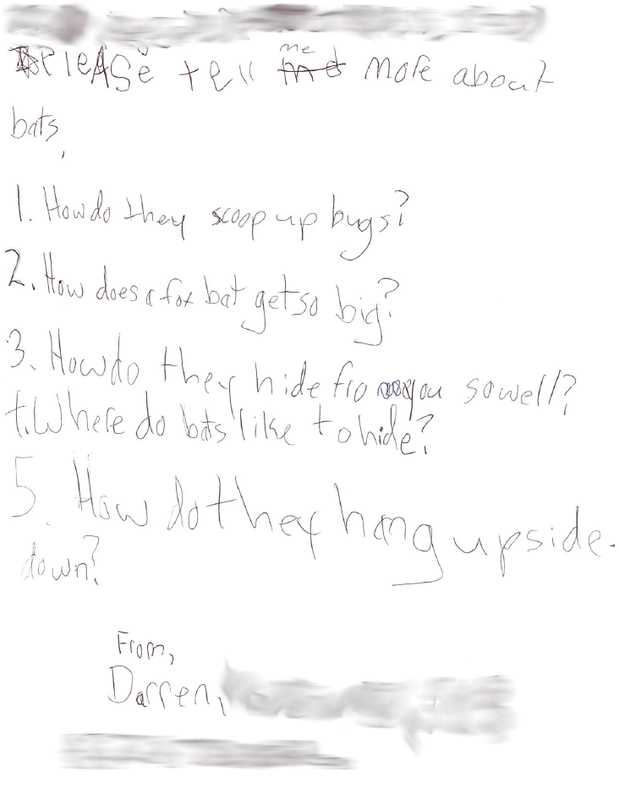 With the permission of Darren and his mother, we wanted to share this letter with you.